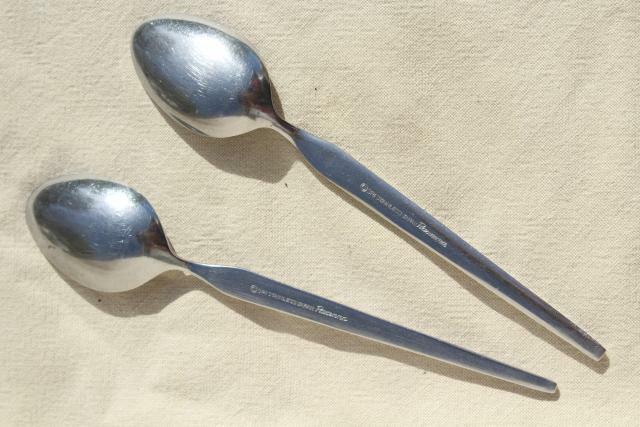 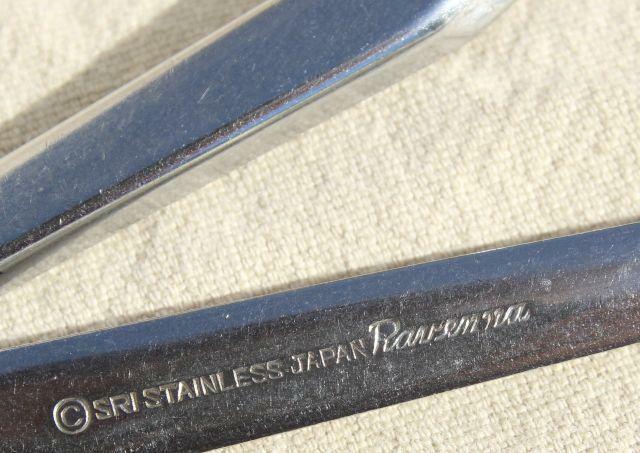 Vintage Stanley Roberts Japan stainless steel flatware. 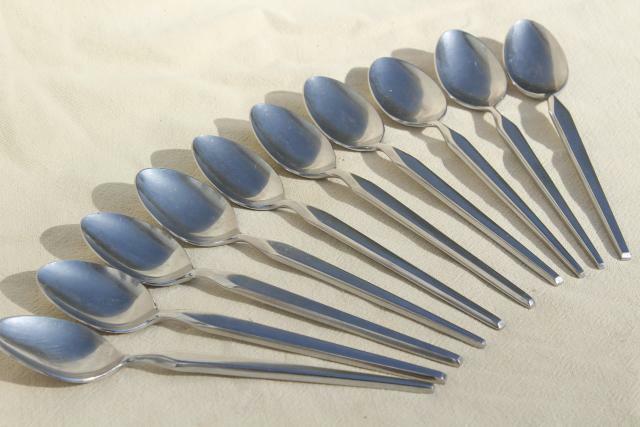 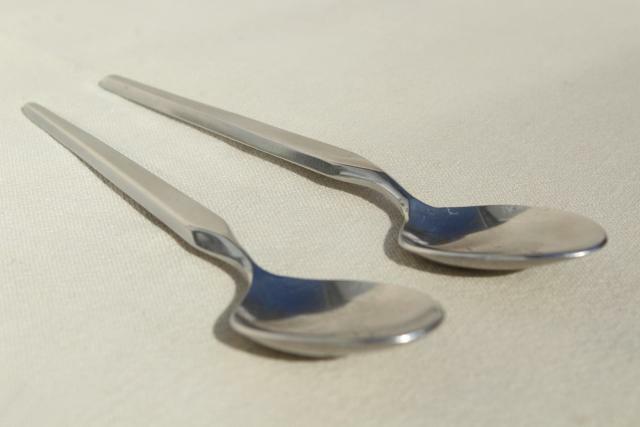 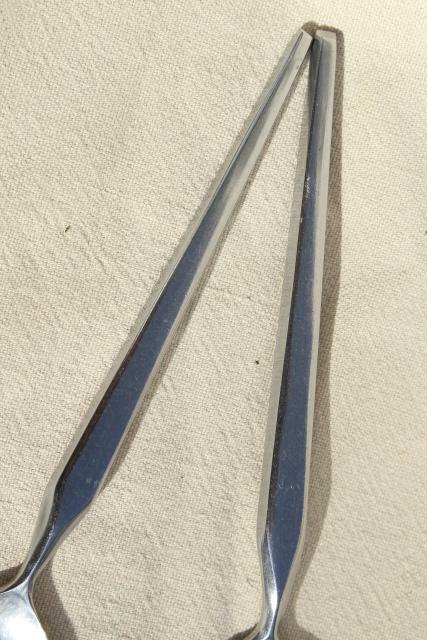 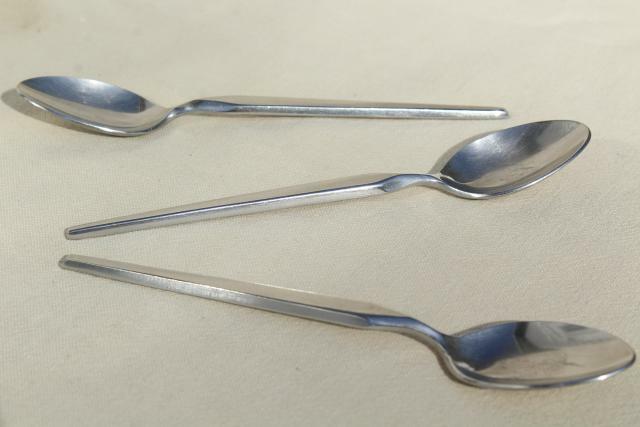 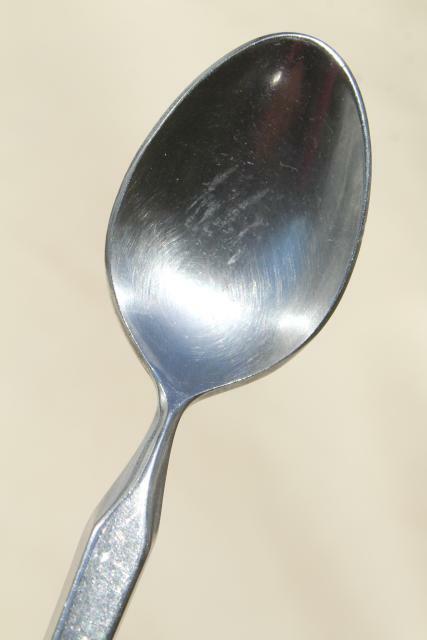 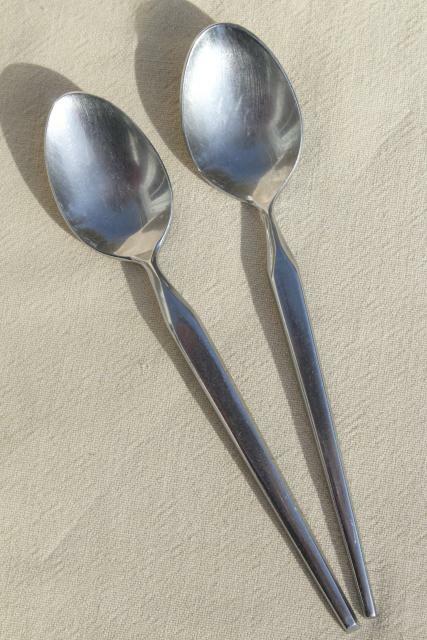 This is a set ten teaspoons (about 7" long) in the Ravenna pattern. 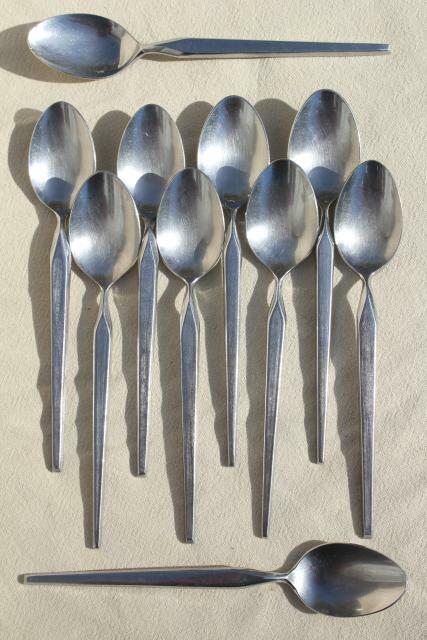 All are in good used condition.